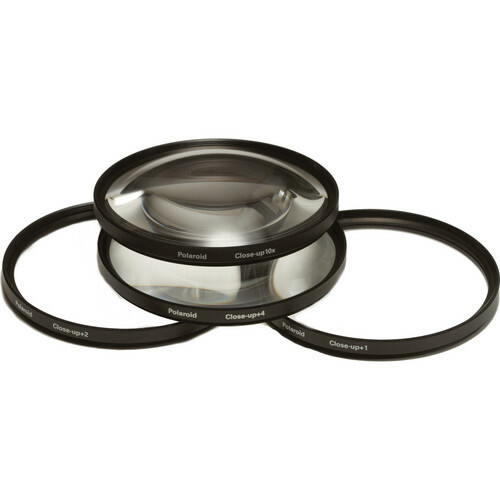 The Polaroid 55mm Close-Up Filter Kit (+1, +2, +4, +10) is a set of 4 close-up lenses for use in achieving macro-like results with almost any lens you pair them with. Close-up lenses are essentially diopters that you place over your lens in order to lessen the minimum focus distance by the amount specified on the filter. You can combine the filters together to increase their strength and to fine tune your close-up settings. Box Dimensions (LxWxH) 7.8 x 3.4 x 1.3"